Every piece of Delcor bedroom furniture is custom-made by hand by our master craftsmen. Each piece that features in our bedroom collection, from divan beds and bed frames to blanket boxes and benches, can be customised to meet your exact requirements. Choose from our extensive collection of exceptional designs, then choose your favourite colourway and fabric from over 80 samples. Our luxury bedroom furniture is built to last, and can be tailored to fit your size requirements to ensure it fits seamlessly in your bedroom space. 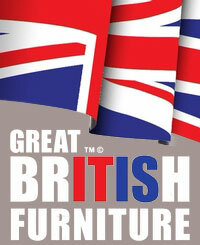 Handmade in Britain, all our beautiful bedroom furniture is crafted to stand the test of time. Browse our collection of both modern and stunning vintage bedroom furniture online, or visit us in store to discover the Delcor difference for yourself.